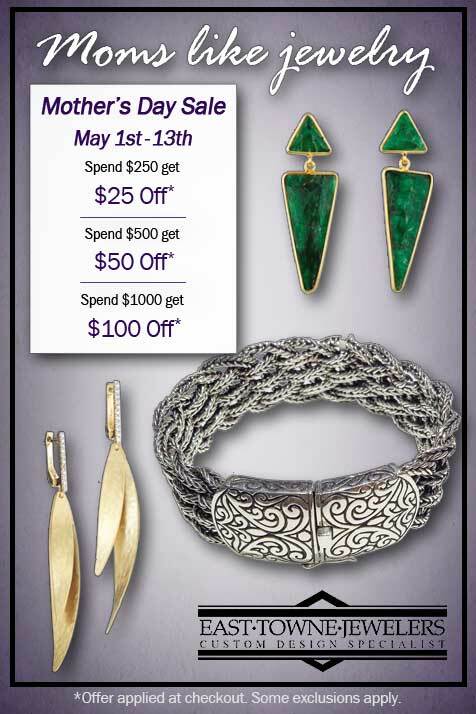 In honor of all the special moms everywhere, East Towne Jewelers is having a Mother's Day Sale from May 1 to May 13. Stop in and buy your mother, grandmother, wife, sister, friend, or any other special "mom" in your life something she really wants...JEWELRY! What's even better is the more you spend on your mom, the more you save. *Offer applied at checkout. Some exclusions apply.